You can do a lot with just foam and a sewing needle. With minimal tools, you can fix everything around your house from a sagging couch to dining room chairs and patio furniture. If you try to order a custom cushion online, you’ll pay a fortune for brand name goods that may not come in a color or pattern you truly love. With these tips, you’ll find more than a few pieces of furniture you can give a facelift to. A patio cushion has some special properties that enable it to withstand exposure to the elements. This type of foam usually has wide open cells, which allow water to pass through it easily without leaving residue. Normal foam becomes almost like a sponge, which can create a mold or bacteria problem if left unchecked. Brand name cushions use this outdoor foam as well, so the only thing you need to choose is the fabric you want to use. The simple stitch is made by placing two equally-sized pieces of fabric over one another and performing a simple stitch to hold them together. If you have a sewing machine, you can get a much stronger bond between the two sheets. A foam replacement for your dining room chair cushions is another great way to add back support and comfort while you eat. Choose basic colors that match the layout of your kitchen, avoiding bright whites or solid blacks as they track dirt and grime easily. If the cushions are made of leather, they may not be so simple to take apart. In these situations, it’s helpful to use the stitch from above to try and create cushions you can place over the dining room chairs. That extra bit of padding will add the comfort, and you can work with the colors to get something that matches your chairs. Not every couch cushion can stay plus and firm forever. Eventually they sag, but they can get new life with a foam insert. The main challenge with a replacement is measuring the proper size. For this, you just need to measure every side. It helps if you draw yourself a diagram, including a three dimensional view of the width/height of the cushion. Leather couch cushions are actually quite easy to replace so long as your upholstery has a zipper built into it. Unzip, measure the old foam and order the new sheet online. In some cases, you can even have the sheet custom cut to fit the width or shape you need. The Foam Factory has a large selection of indoor and outdoor foam products for use in the home, or as commercial packaging. Are you moving in to a world city like LA? Just graduated and making it out on your own for the first time? Living on your own for the first time can be an exhilarating experience. However, as someone that is starting out in life, getting a good location means sacrificing space cause of high costs of living and rent. With a smaller space, you need to maximize every inch of your home in order to have everything that you need. One way you can save space without doing away with comfort is placing a tankless water heater system. 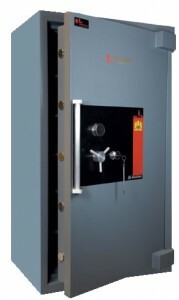 A tankless system is both space saving and cost saving. A tankless system will take significantly less space than a conventional system due to the simple fact that there is no bulking tank! It’s energy saving because it only runs when you need hot water. The way a tankless system works is that water from the tap goes through the system’s computer which then activates the burner if and only if water is flowing into the pipes. Whether you are a professional in the home improvement business or you like fixing and designing stuff around the house, you can now add another tool in your repertoire: a cellphone. And while you are wondering why this is so, there are several software programs that can help enthusiasts pick paint colors for their home or even find artwork that could be used for decoration at home. 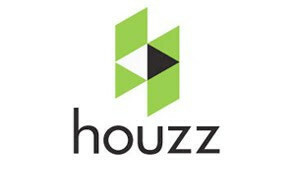 One such example is a phone app (known as Houzz) that has been developed by Mark English, a San Francisco architect, which enables people to visualize their projects and plans. With almost 70,000 pictures of rooms, homes and landscape projects, homeowners can now clearly define what they would like and not like to see in their homes. Yet another phone app known as the Dream Home gives customers the opportunity to search for thousands of photos that has been arranged according to their style, room and color. However, there are phone apps that have been designed for other purposes as well such as offering tips on how to entertain and host parties. On the hand, some users can use apps that assist them with shopping as well as culinary advice too. And if that’s not enough, an app released by Good Housekeeping offers advice on a variety of topics in keeping your home spick and span. The only caveat in all of this is the fact that while some of these apps are offered to users for free, there are which charge the customer anywhere between $1.99 to $4.99. While some folks like to ‘wing it’, others like to deliberate on the pros and cons before coming to any conclusions. And perhaps the latter comes to use the most in the case of choosing a color for your fence at home. The truth is that the options are endless, and while one can get bogged down by them, it is important to note that there are a few things that you have to keep in mind before you make that all-important selection. You have to remember that the whole idea of selecting a fence color involves color matching with the house and the general backdrop, and thus, one must take their time in selecting a color that matches all these requirements. If you’ve got the first two factors down, then it is important to take into consideration the garden, the coloring of the guttering, roof and any other features that stand out in your home. One more factor is to check how the color looks in broad daylight. Taking all these factors into consideration, while checking with your supplier whether they have the color or not, one should be able to pick a suitable color for their homes. With the restrictions of time and energy that creeps into our daily schedule on a daily basis, there comes a time when the effects of this, impacts our immediate environment. Take for example, your lawn, which due to neglect, can look brown and dirty and for all practical purposes, sick. One way by which you can restore the lawn to its original beauty is by aerating the lawn using spiked shoes or for that matter, a powered aerator. The simplest reason for this is because the grass on your lawn requires food and water, and in order for the lawn to make the most of it, poking holes in your lawn will ensure that the grass gets enough fertilizer and water. Just ensure that you read the manufacturer’s instructions to buy the right fertilizer. Much like every other living thing, grass requires air to grow, and once you aerate the lawn, you will see a big difference in how your lawn looks. In aerating the lawn, you will loosen the soil instead of allowing it to remain hard and compacted. One of the best times for a lawn to be aerated is either after a good rain or when during springtime. 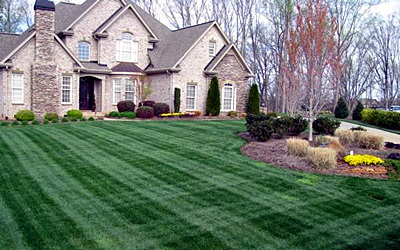 One will see further improvement of the quality of their lawn if they use weed and feed product after aerating the lawn. Earthworms can be especially beneficial to your lawn.